We understand that your dogs, cats and other cute animals are very much part of your family and that you want to bring them on holiday with you. At Party Houses we understand the love between the owner and his or her pets. Therefore we offer plenty of pet friendly accommodation, so that you and your animal can enjoy the change of scenery together. As our Party Houses are located in picturesque natural surroundings, they will ensure that your group and your little fuzzy friends have a wonderful stay! Check our selection of Party Houses to choose your favourite pet friendly accommodation. One of the best features of our dog friendly accommodation is that they are located in rural areas surrounded by nature. 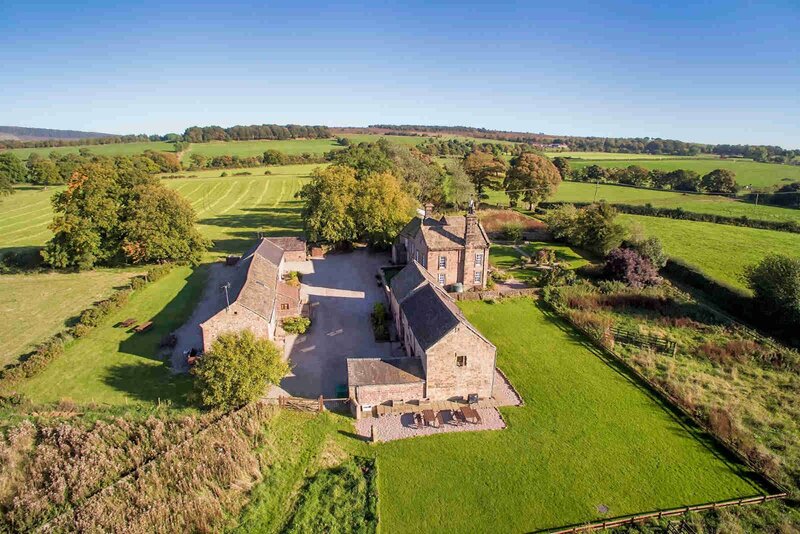 We have a wonderful selection of pet-friendly Party Houses in the Midlands and the Peak District where your dogs will be free to run around and explore the scenic routes with you. Perhaps you’d be more interested in exploring the sea-bound South West where you and your canine friends will be able to enjoy the lovely sea breeze. We also have several conveniently located houses in the South East if you’re looking for dog-friendly accommodation near London or Brighton. There’s lovely Party Houses in beautiful Wales full of hills and valleys just waiting to be explored. Finally, if you’re located in the North of England or in scenic Scotland, we have several lovely dog friendly Party Houses there as well. Feel free to give us a call if you need some help finding the right venue for your entire family. Party Houses are designed with welcoming kids, pets and your clumsy relatives in mind, meaning you won’t have to worry about staining the carpets. As the majority of our pet friendly accommodation is located in stunning natural, yet still easily accessible areas, you and your dogs will be able to enjoy plenty of lovely walks leaving right from your front door. Lots of great dog owners turn to us to find their ideal pet friendly Party House. Our agents are always on hand to help you find the ideal venue for you and ALL of your guests. 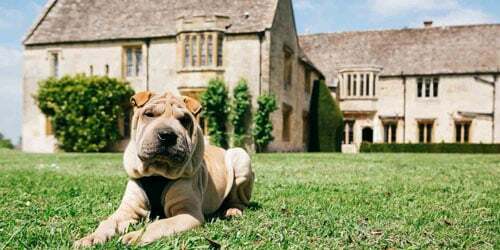 Not only will you be welcomed in the house, your dogs will be able to get lots of fresh air and run around the fields that the beautiful private gardens and walking paths around our large houses to rent have to offer.